The NoCord™ VPS Introductory Trial Kit is a revolutionary One-Step, Self-Retracting Impressioning System designed specifically for the wash and tray technique. It consists of the Centrix NoCord™ Wash and NoCord™ MegaBody® Tray Materials which together produce highly accurate dental impressions without the need for retraction cords and pastes. NoCord Wash and NoCord MegaBody Tray Materials are addition-reaction silicone-based elastomeric materials, or vinyl polysiloxane (VPS), offering excellent physical and dimensional properties as well as providing high accuracy and stability. Without a separate retraction procedure, NoCord Wash and MegaBody Tray Materials have been specially formulated to work together as a system and should always be used together to obtain the best, final impression results. "Highly accurate detailed impressions with a one-step impression technique that has hemostatic and sulcular dilation properties." "With the Centrix complete impression system - from the 3.n.One trays to the NoCord impression material... 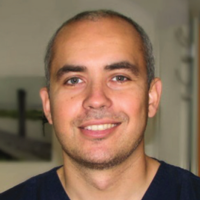 I have everything I need to get fast, accurate impressions for most of my clinical situations resulting in restorations that fit perfectly." What is included in the NoCord VPS system? NoCord VPS system consists of the NoCord Wash and NoCord MegaBody Tray Materials and all the needed accessories, including Centrix’s 3.n.One™ Impression Dual Arch Trays, SuperMixer™ high-efficiency less waste mixing nozzles, and tips. Can NoCord MegaBody Tray Material be used with other wash material? No. 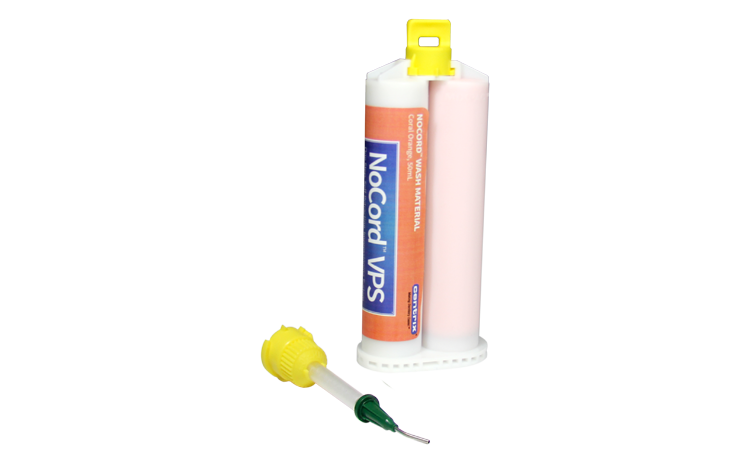 If NoCord MegaBody Tray Material is used with other wash materials, it will not deliver the bleeding and fluids control of the NoCord VPS System, since only NoCord Wash Material contains its unique hemostatic and retraction paste formulation. What materials should NoCord VPS not come in contact with to affect product and procedure performance? NoCord VPS Materials (NoCord Wash & NoCord MegaBody Tray Materials) and all VPS impression materials should not come in contact with sources of sulfur (latex gloves, ferric sulfate solutions, etc.) as setting may be affected. What makes NoCord VPS system unique compared to other VPS impression materials? Our revolutionary NoCord Wash Material retracts the gingiva, stops fluid flow and controls bleeding therefore eliminating time and costs of packing cord and applying hemostatic agents. NoCord Wash contains 15% alum to constrict capillary oozing, control bleeding and displaces gingival crevicular fluids to provide dry, bubble free margins. When NoCord Wash Material is used with our NoCord MegaBody Tray Material, it drives the wash into the sulcus and pushes the tissue. The combination of both provides a clear final impression. What steps does NoCord VPS System eliminates in a wash and tray technique? 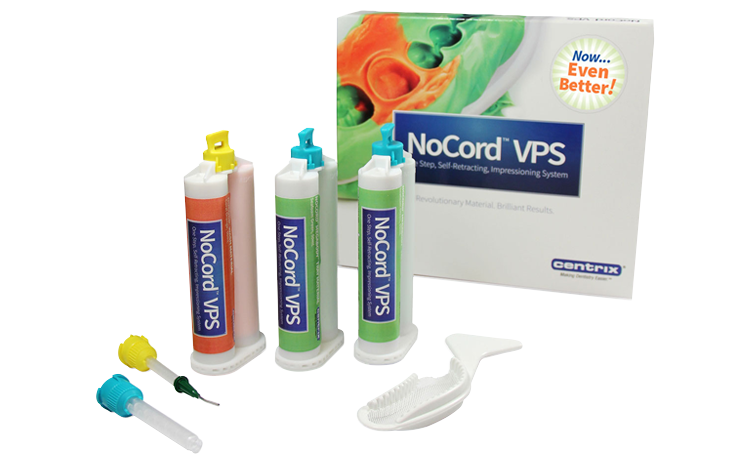 NoCord VPS system is designed to take impressions without separate gingival retraction and hemostatic control steps. How much time does NoCord VPS save me in a wash and tray technique? You can save approximately 3 minutes per restorative procedure. Bleed each cartridge prior to attaching SuperMixer TM nozzle to insure proper mix of both materials. Prepare tooth as usual. Dry prep with dressing or air syringe. Fill impression tray with NoCord MegaBody Tray Material. A walled dual or full arch tray is recommended. Syringe copious amounts of NoCord Wash Material into the gingival sulcus and around the prep and adjacent teeth. We recommend use of 'time check beads' to verify full set. Express a small bead of Wash and Tray material. Start timer when you first express either material. Seat Mega Body Tray Material over the unset NoCord VPS Wash Material. Have patient bite firmly or hold in place with light pressure until material is set. If using 'time check beads', touch material to verify full set. Remove from mouth at 4:45 minutes. Check impression. Fabricate final restoration. Easy, accurate impressions! I have been using Centrix products for several years and have been consistently impressed with the quality. Recently I received a sample of the NoCord VPS Impression System and decided to give it a try. The material has worked extremely well; impressions are better, plus my crowns & bridgework need a lot less adjusting! With the impression and retraction material in one step, the savings are invaluable. I used another material for many years, but now I am very happy using NoCord VPS for my crown & bridgework. I recommend it highly! NoCord is revolutionary! It is such a relief not to have to pack cord in most all situations. NoCord has changed the way we practice dentistry. There is less stress, less time, less hassle now, that translates into more enjoyment in the delivery of dental care! NoCord VPS. Finally, a truly 1-step impression material. No cord. No moisture. No wasted time. Just a clean and clear margin every time! For every impression I take, I no longer pack cord, apply a separate hemostatic agent or add a retraction paste to the already hectic schedule of a general dentist. I simply place NoCord Wash around the crown prep and gingiva, add NoCord MegaBody Tray material to my impression tray, seat the impression tray. That's it, very easy, saves time, and produces excellent results. 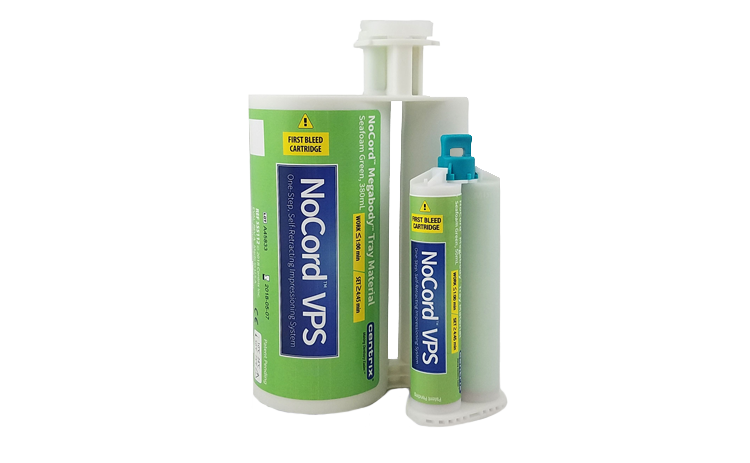 NoCord VPS is a trifecta for impression materials; sulcus expansion, hemostasis and accuracy. NoCord is the next generation of impression materials. There are less steps and cost because the impression material does more. Through 30 years of clinical practice, having tried and used every impression material and gingival retraction method that's been available, I have found the NoCord VPS impression material that eliminates separate retraction and hemostasis steps, to be the easiest method of saving time when taking impressions I am able to achieve the best impressions I have been able to get in my career. NoCord VPS, NoCord Wash Material, NoCord MegaBody Tray Material, 3.n.One, AccessBLUE and SuperMixer are trademarks of Centrix, Inc.